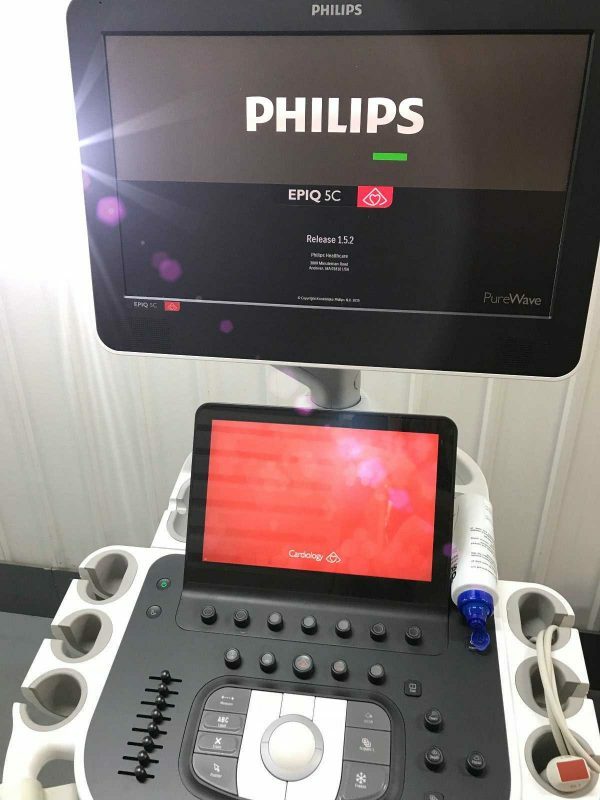 Philips EPIQ 5 might be the new leadership for a premium ultrasound, including an uncompromised level of clinical operation to meet the challenges of the toughest practices and technically difficult-to-image patients through each gestational age and for gynecology programs. 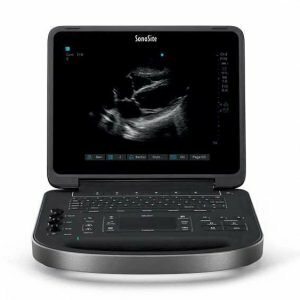 EPIQ 5 is the new direction for the superior ultrasound, featuring an uncompromised level of clinical operation to meet the challenges of the toughest general imaging practices. 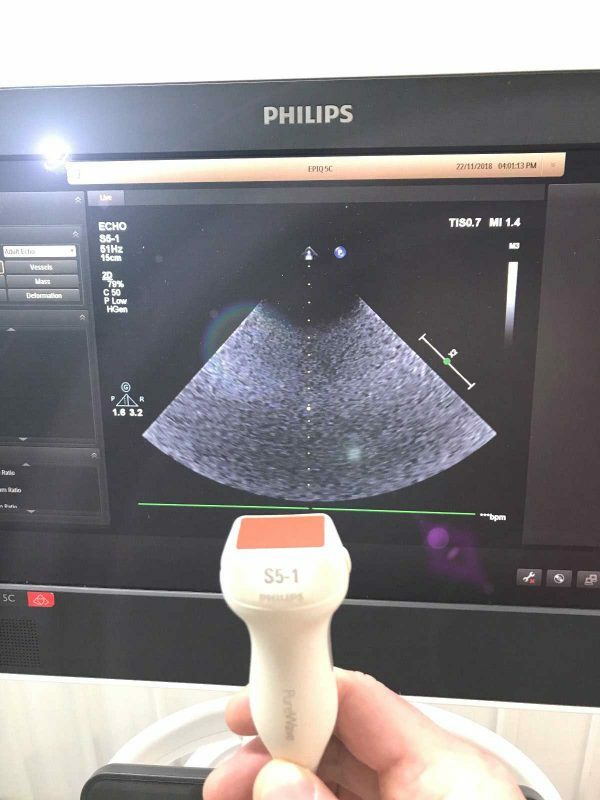 The Philips Epiq 5 ultrasound system brings together the newest technologies using the ergonomics you need all in one system. 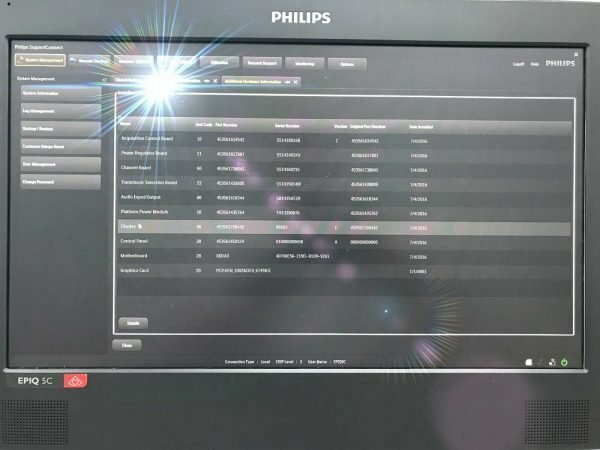 The Epiq series offers a user-friendly interface which focuses on saving the operator time whilst maximizing workflow. 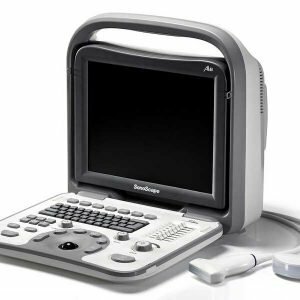 Technologies like Epiq’s PureWave transducers coupled with precision technology delivers exceptional picture quality and the confidence to make an informed diagnosis. 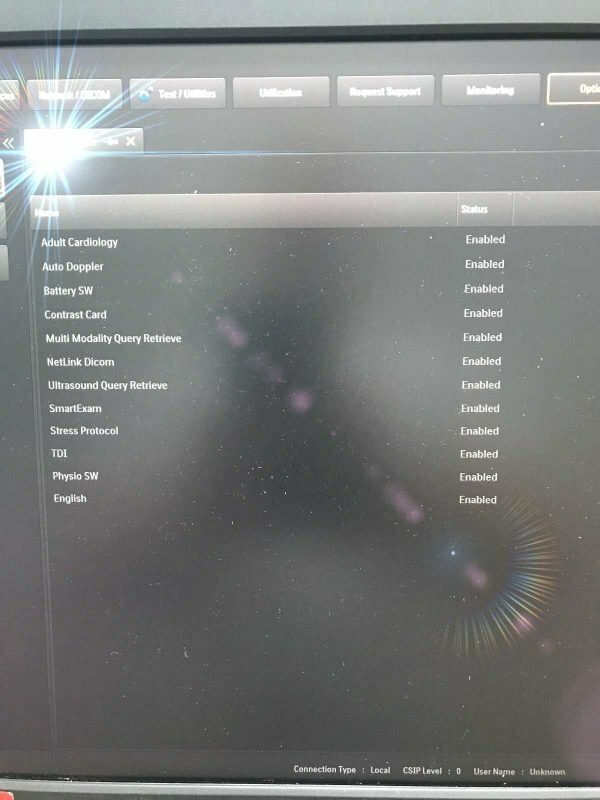 It offers Purewave single crystal probes, a compact and lightweight design and superior design and workflow. 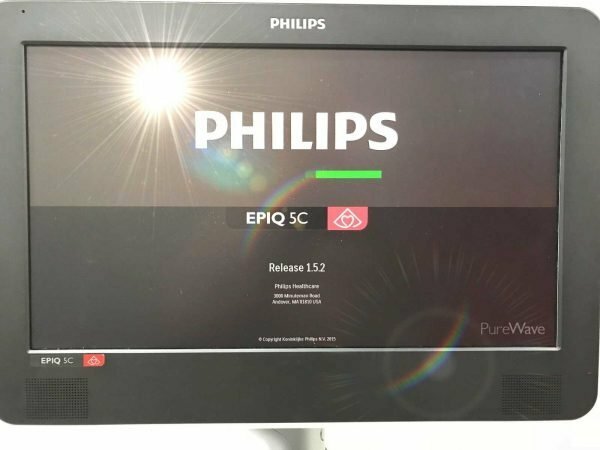 The Epiq 5 replaces the elderly Philips iU22 with no xMatrix. 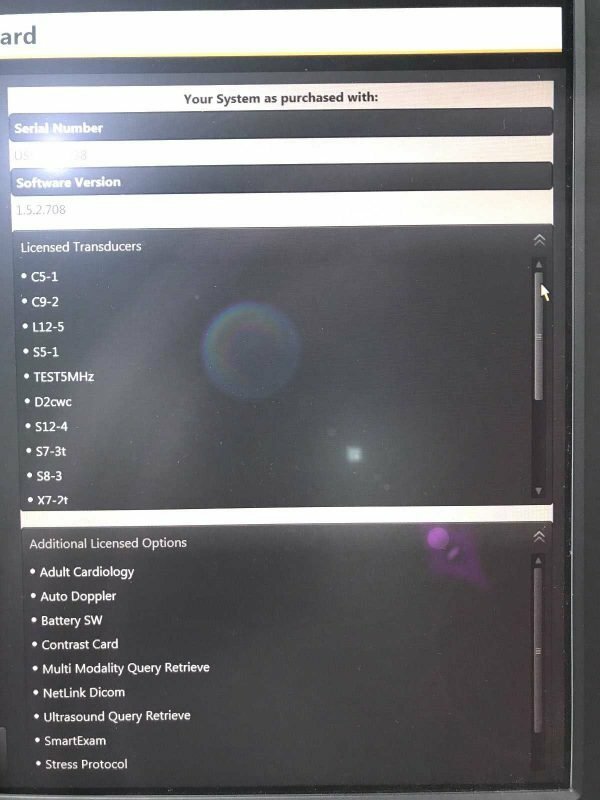 The Epiq 5 has fewer probe choices and features compared to expensive Epiq 7. 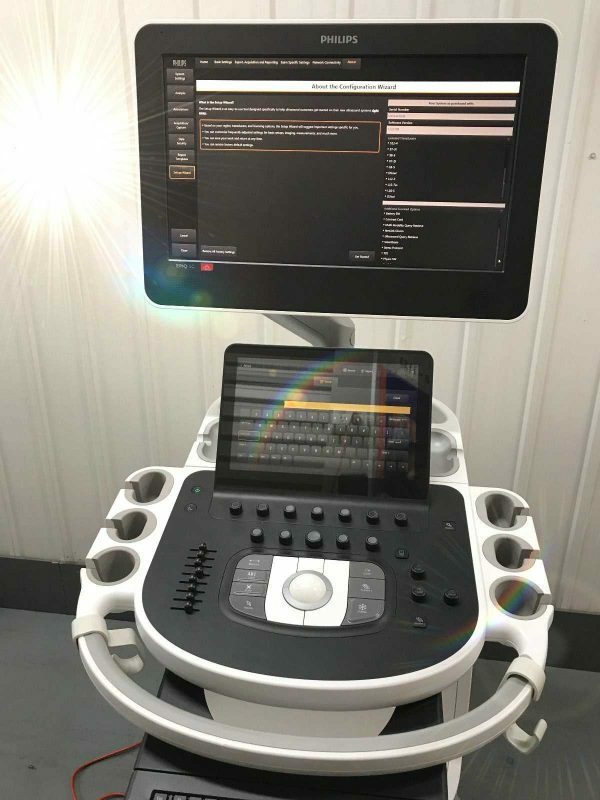 All the Epiq and Affiniti ultrasound machines look visually quite similar and use the exact same track and enormous tablet-like touchscreen for navigation. 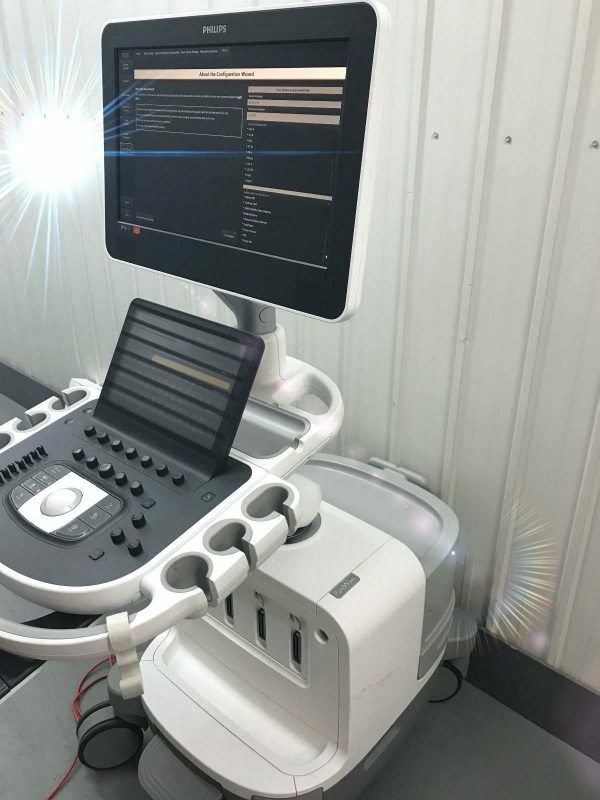 Philips nSIGHT Imaging is an entirely new approach The Philips proprietary nSIGHT Imaging architecture introduces a totally fresh method of forming ultrasound images without compromise. Unlike traditional systems that form the image line by line, nSIGHT creates images with optimal resolution down to the pixel level. Over 80% of sonographers experience work-related pain, and over 20% of them suffer a career-ending injury. With EPIQ 5 a new tablet-like interface results in dramatic reduction in reach and button pushes, with40% to 80% less reach and 15% fewer steps. 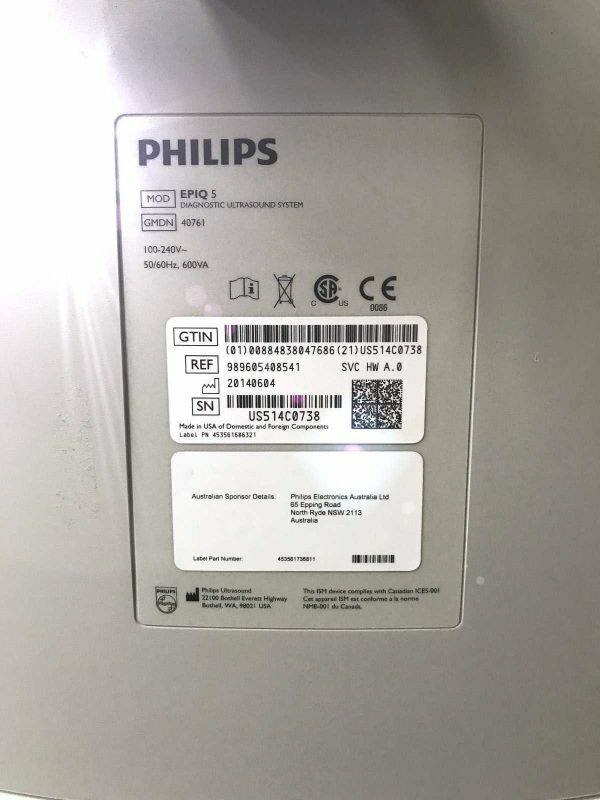 PHILIPS EPIQ 5 Ultrasound for Radiology with 2 Probe Premium. 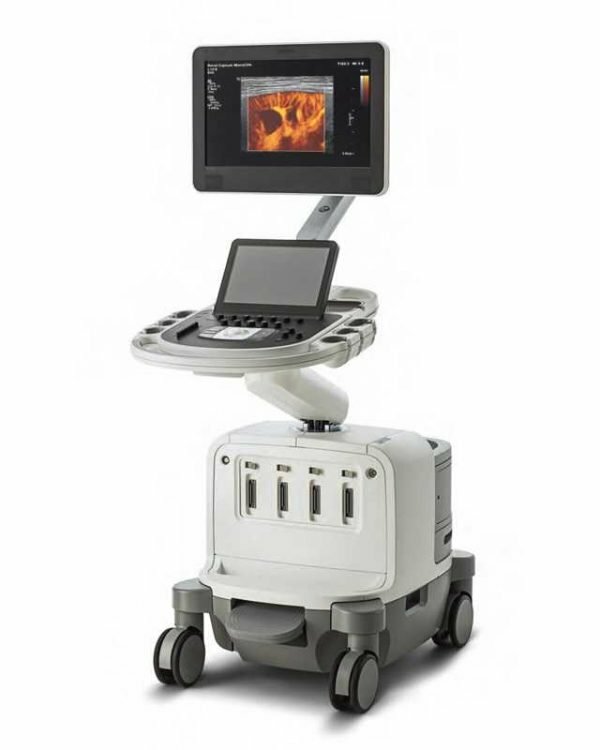 Three major settings such as Cardiovascular, Radiology and Common service / General Imaging. 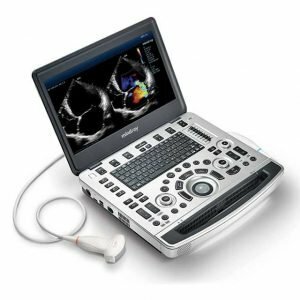 The Philips Epiq 5 ultrasound system brings together the newest technologies with the ergonomics you want all in one system. 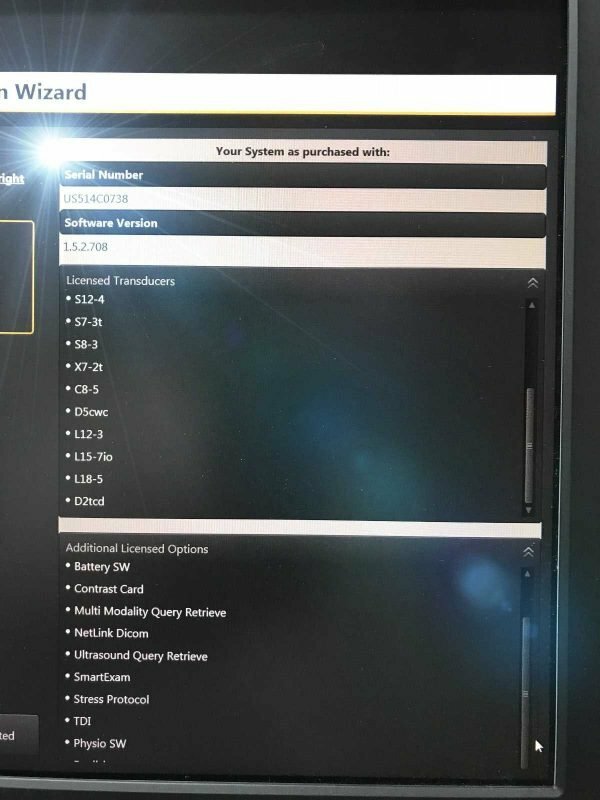 The Epiq series offers a user-friendly interface that focuses on saving the operator time while maximizing workflow. 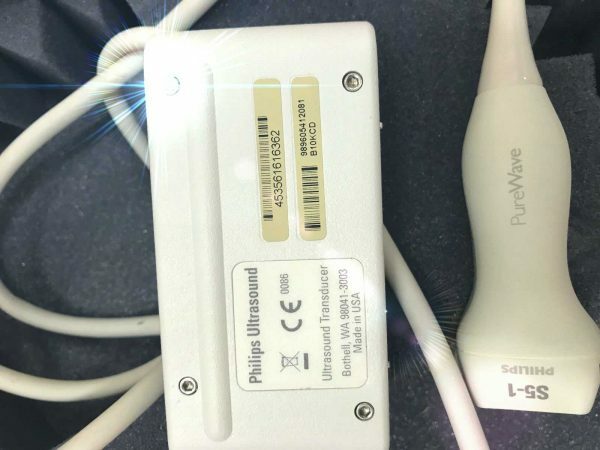 Technologies like Epiq’s PureWave transducers coupled with precision engineering delivers exceptional image quality and the confidence to make an informed diagnosis. 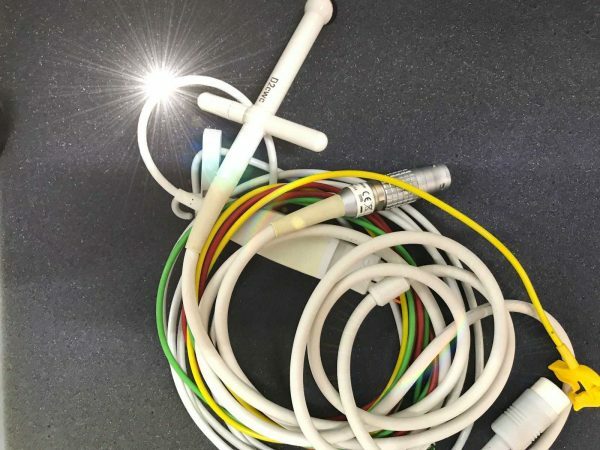 Sale includes – Epiq 5C / S5-1 / Pedoff probe / ECG cables / Manuals / Assorted connector cables. Licenses: Adult cardiology / Auto doppler / Battery SW / Contrast card/ Mutimodality / Dicom / Smart exam / Stress Protocol / TDI / Physio SW and more.